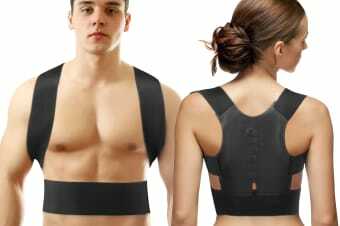 Get rid of aches and pains due to poor posture with this Magnetic Posture Support that harnesses the power of magnets to realign your back and target pain. Sometimes the stresses of daily life can result in a bad posture leading to other ailments like stress on joints and bones that further aggravate the problem of bad posture resulting in a vicious circle. Thankfully, the Magnetic Posture Support can help you correct this problem with ease. 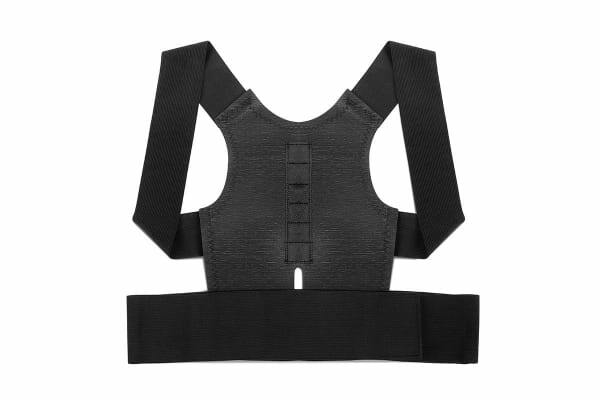 This comfortable support garment is designed to pull your shoulders back, straighten your head and neck, and align your spine giving you a posture that not only looks good, but also avoids other health problems. Plus, it works invisibly as it can be worn under your clothing! 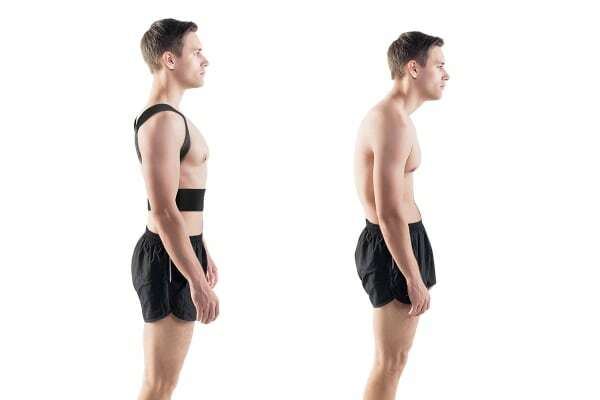 You’ll notice that you’re standing taller with your spine and lumbar region correctly aligned once you wear it. You’ll also notice those nagging aches and pains disappear slowly. What’s more, this support is suitable to be worn both by men as well as women! Do you feel stiff and sore when you get out of bed in the morning? Are you in a sedentary job that requires you to sit for long hours? If you’re you’ve answered yes to the questions above, you would benefit from using this magnetic posture support that uses centuries-old Magnetic therapy to increase circulation, relax muscles and target aches and pains from bad posture or sitting all day long.